Anybody want to hear a joke? What did the deranged, psychopathic masked murderer say to his helpless victim? Okay, that wasn’t a very funny joke, but it really isn’t intended to be because those are the last words that countless victims heard in writer/director Jake Barsha’s “The Funny Man,” a ten-episode horror web series produced by Daily Motion and Right Hook Films. Originally, “The Funny Man” began as a feature length screenplay of the same title. “I had this idea for this story about a serial killer, kind of a comedian who is also a killer. And that eventually became ‘The Funny Man,’” Barsha told LAHorror.com. And though the title suggests it’s humorous, don’t be fooled. This is a super gory horror show that isn’t afraid to pull any punches. You’d be surprised how many people you can kill in just ten short episodes. This was not Barsha’s first plunge into the macabre. After directing his first feature film,“Eugene,” he went on to create a web-series entitled “Leidy’s New Boyfriend,” another creepy show about a psychopathic woman who meets the boy of her dreams. Naturally, she locks him up in her basement and keeps him as her captive. After some creative re-writes and adaptation, Barsha took his feature film script and made it into an episodic format. And with the help of Daily Motion, production for “The Funny Man” began. In just three short weeks, Barsha and his crew shot and edited the entire series. It premiered on line last fall during Halloween, and since then has garnished over 250,000 hits. The series has also recently won five awards at the Los Angeles Web Festival, including Best Director and Best Horror Series. “I’m super excited that it was received well, that people seem to like it a lot, and that’s really motivating because I really want to do some more stuff…I think that there’s a lot of horror material out there and there’s a lot of people making horror and doing stuff, but it’s such a dynamic genre to think creatively, you know, to really think about different ways to do something or different ways to make something scary…It’s a really exciting platform to lend your energy to,” Barsha said. The energy that “The Funny Man” delivers is intense; it’s raw and its, well, not very funny. Watch “The Funny Man.” For more information on Jake Barsha and Right Hook Films, please visit their official website. You can also connect with “The Funny Man” on Facebook as well as “The Funny Man” blog. Please read LAHorror.com’s full review of “The Funny Man” here. This entry was posted in Uncategorized and tagged feature length screenplay, horror web. Bookmark the permalink. 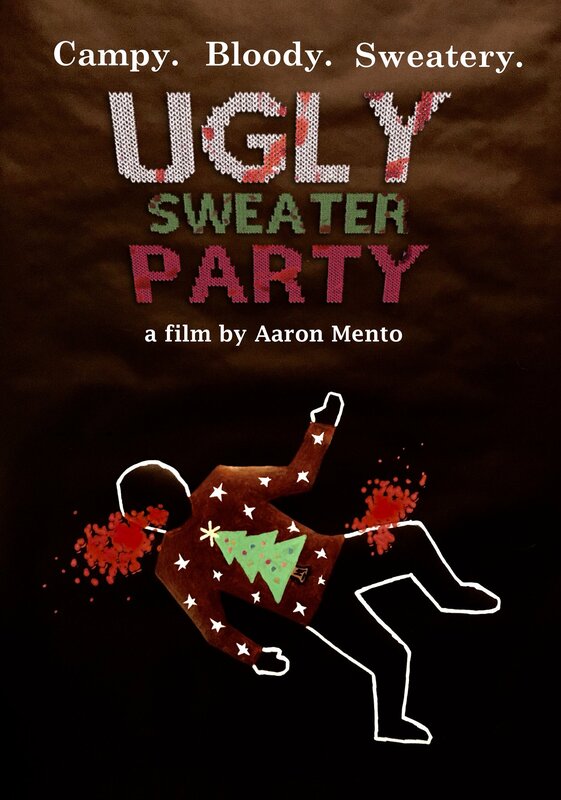 UGLY SWEATER PARTY drops on Amazon! 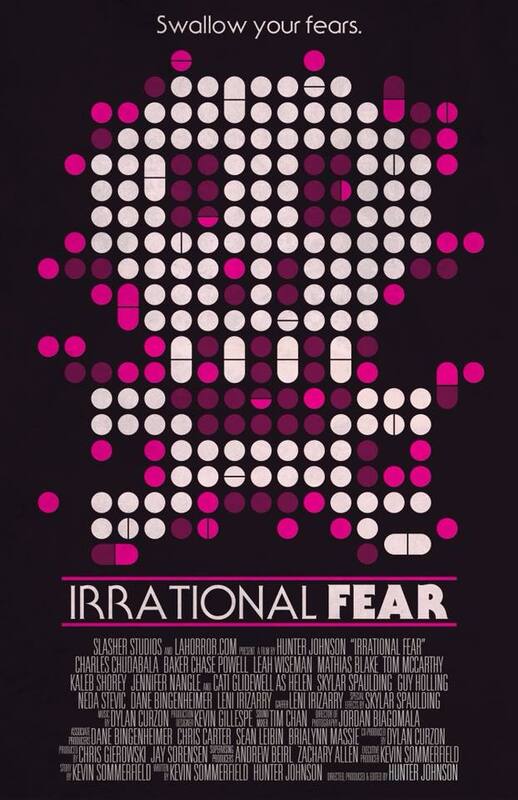 Get IRRATIONAL FEAR! Our horror collaboration with Slasher Studios is now available on DVD & Limited Edition Blu! Read a book! “My Favorite Horror Movie” – Now Available! “LILITH” Drops NSFW Teaser Trailer! 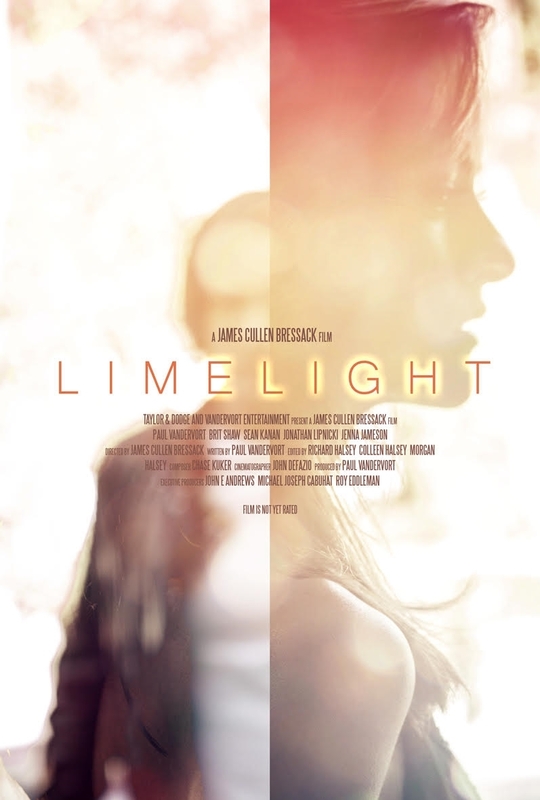 Malvolia Gets Her Feature Film Debut! Horror Anthology “10/31” Now Available on DVD/VHS! 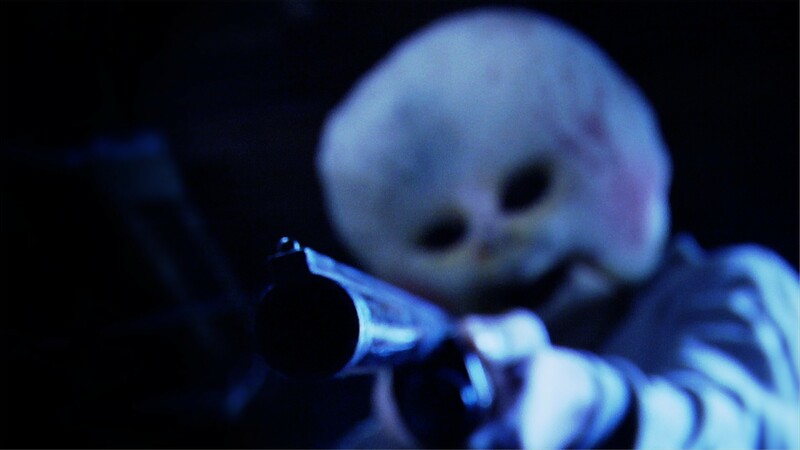 “Bunnyman Vengeance” Creeps to VOD on 10/20! Watch the trailer here! James Cullen Bressack’s “Bethany” – AVAILABLE NOW! Zack Ward’s “RESTORATION” – AVAILABLE NOW!! Someone asked me today if this was a #BlackPhillip shirt. I wish it was, but it’s just a regular goat shirt. I found myself in a tub in the garage. I want more of these cards. I want to collect them all. Battling the back. Chopping down branches of branches of vines of branches. Every one of them are full of NASTY thorns. Thumb for scale. Needless to say gloves are pointless and whoever planted these was a sick, sick person. Out of all the plants on Earth to choose why this terrible thing?! Coen Bros are major hit or miss for me but #theballadofbusterscruggs was one of their best. Incredibly disturbing and highly enjoyable film. I definitely recommend. These vines have assimilated our garden decorations. The previous owners must have loved painful stabbings because every damn plant in our garden grows like Jumanji & are covered with nasty thorns. Latest #VHS haul out of Minneapolis. Snapped a selfie with my bro for life @pintsizedb. #TBT when I was a rough and tumble youngster.